He was the exotic and mysterious European who made lady movie-goers swoon while teaching hard-bitten American lads a thing or two about romance. On screen, he was oh so very French, with a bevy of beautiful women at his beck and call, but in reality he was quite happy to be in America and dedicated himself to his English bride to whom he was married for 34 years. 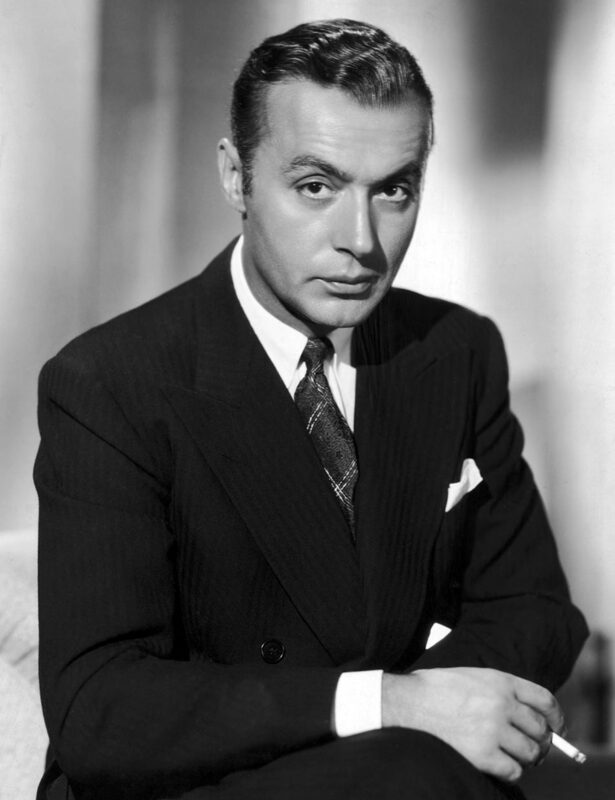 Much of Charles Boyer’s on screen persona seems to be an illusion, and while this false persona is the one which had so much Hollywood success, it cannot hide what an interesting and even admirable person the real Charles Boyer was. Boyer was born in the small farming town of Figeac in Southwestern France. His father was a merchant, dealing in farm implements and coal and probably looked forward to young Charles taking over the family business in time, but when a stroke took him when the boy was only 10, his mother sold the business and tried to raise Charles as a gentleman of leisure. Charles was infected with the acting bug at eleven. He began haunting Figeac’s tiny movie house, and was delighted whenever Mme. Boyer would take him to Paris to see plays. He volunteered as a hospital orderly during WWI, and was known for entertaining the convalescing soldiers with sketches and small scenes. Near the end of the War, a film company came to town to shoot some location scenes, and Charles won a small part as a member of a local crowd. His enthusiasm was such that the leading actor helped to convince Mme. Boyer that Charles should go to Paris to pursue an acting career. He enrolled in the Sorbonne at the age of 18. He largely neglected his studies, but he put his time to good use making connections with society people, especially those connected in any way to the theater. When the leading man of a large production was forced to drop out just before the opening, friends convinced the director that Boyer had an uncanny ability to memorize lines, and the dapper young man was a hit. Soon, he was one of the busiest stage actors in Paris, and it was only a matter of time before Hollywood took notice. MGM expected great things from their exotic new star. Although he spoke Spanish, German and Italian in addition to French, he did not speak any English when he moved to Hollywood in 1929. However, he loved the American lifestyle, the American people, as well “all thees monee”, so accepted work in silent films as doing voice work for French versions of MGM films (for the foreign market), unsatisfying as it was. When talking pictures became important, Boyer’s deep voice and charming accent found demand. 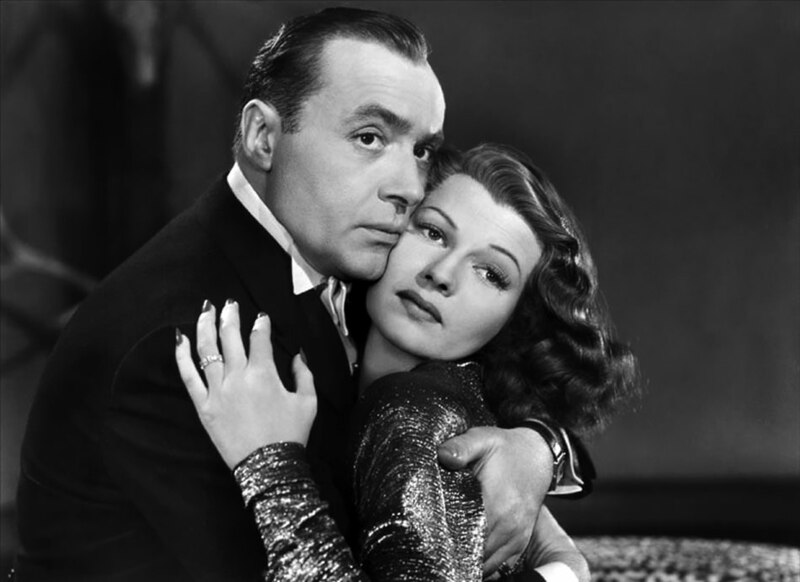 In 1934, he meet British actress Pat Paterson at a dinner party, proposed marriage to her two weeks later and they were married within three months. Although his growing success allowed the Boyers to “go Hollywood” buy purchasing a Beverly Hills home, a beach cottage, new cars and a cabin cruiser, they settled in Paradise Valley, Arizona, and just came to Hollywood for work. In 1938, Boyer played a thief on the run in Algiers, with Ingrid Bergman. The film was said to be the inspiration for Casablanca (1942), and Looney Tunes character Pepe Le Pew was based on Boyer’s character. The line “Come with me to the Casbah” was never uttered in the film, although it was used in the trailer. Boyer was one of the first in the film community to recognize the dangers of a man called Hitler. While many still considered the Nazi leader as a joke, Boyer joined the French military at the age of 40. His service was short lived, as France capitulated (there are rumors that studio influence was also used to keep him from serving directly). He did maintain contacts with the Resistance and was a supporter of Free France. Although audiences could not get enough of the dapper Frenchman, Boyer began losing his hair at an early age and developed a paunch. He was also much shorter in real life than he appeared on screen. Bette Davis tried to have him removed from the set of All This, and Heaven Too (1940) before she realized that he was her co-star. Boyer was a frequent guest on Lux Radio Theater in his roles as well as others. 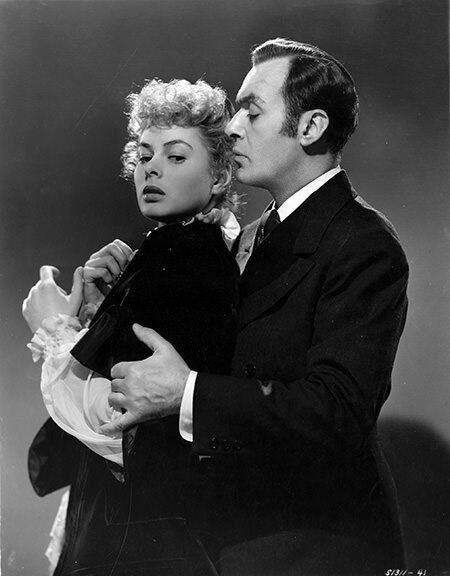 In 1947 he played Capt Grerr for Rex Harrison in The Ghost and Mrs Muir. He was also a popular guest on comedy programs like Burns and Allen and The Jack Benny Program, usually as a straight man but sometimes lampooning his screen persona. Charles and Pat had one son, Michael Boyer. In September, 1965, Michael’s girlfriend told him that she did not want to see him anymore. He went into the den and a shot was heard to ring out. He was found with a bullet wound to his right temple, but it was reported that he had been playing Russian roulette, so the death was listed as accidental. Boyer had been filming in Paris, and returned to Los Angeles after Pat phoned with the tragic news. During the late 1970's, Pat was diagnosed with a brain tumor. Charles set his career aside so that he could care for her, and she passed away on August 24, 1978. Boyer quickly put his affairs in order, and two days later, just two days before his 79th birthday, took an overdose of Seconal. The couple was interred next to their son at Holy Cross Cemetery, Culver City. Two Stars on the Hollywood Walk of Fame at 6300 Hollywood Blvd honor Charles Boyer’s contributions to the Motion Picture and Television Industry. 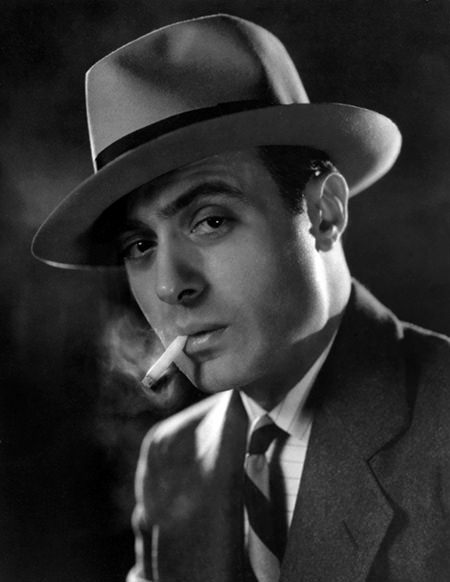 Be the first to comment on "Charles Boyer"